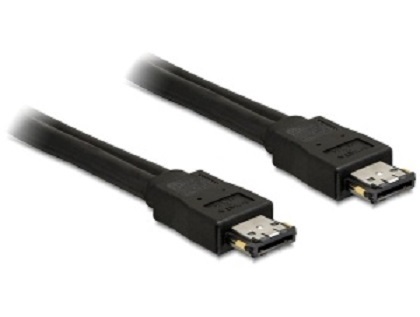 This Power Over eSATA connection combines the eSATA and USB interface and provides a voltage of 12 V through the gold-plated contacts on the side. It enables you to operate devices like e.g. external 2.5 and 3.5 HDD enclosure without extra power supply. Furthermore you may use this cable for connection of a 2.5 HDD with 5 V to an eSATAp 5 V port.